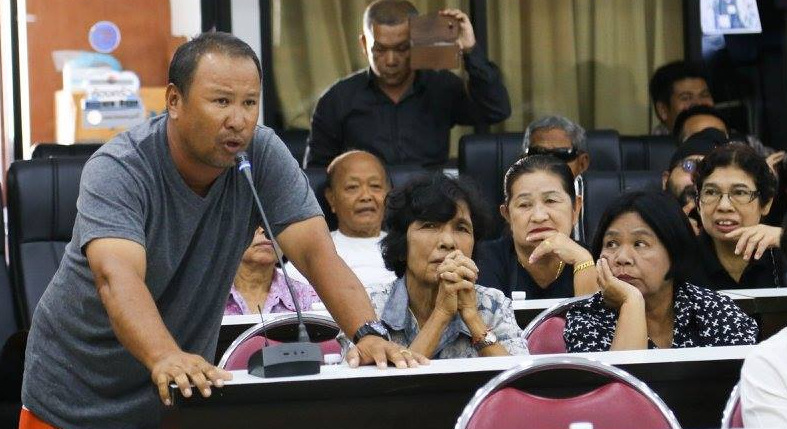 PHUKET: Hundreds of residents from Patong and from Kathu have called for the right to keep their homes instead of having their lands expropriated by law to make way for the decades-in-coming Patong Tunnel, which at last report was estimated to cost taxpayers B6 billion. The plea came at public-feedback meetings held in Patong yesterday (Aug 22) and repeated at the Kathu Municipality offices today (Aug 23). 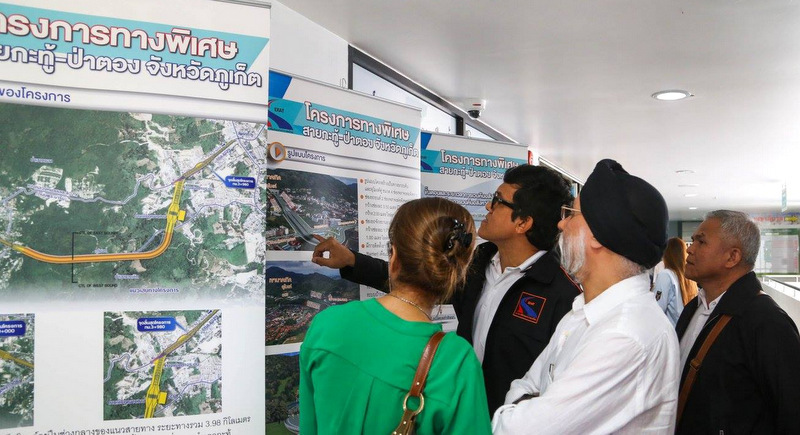 The meetings were organised by the Expressway Authority of Thailand (EXAT), which has been tasked with developing the project, as part of the legal requirement for pubic feedback to be sought and considered in filing for the project’s Environmental Impact Assessment (EIA) application. 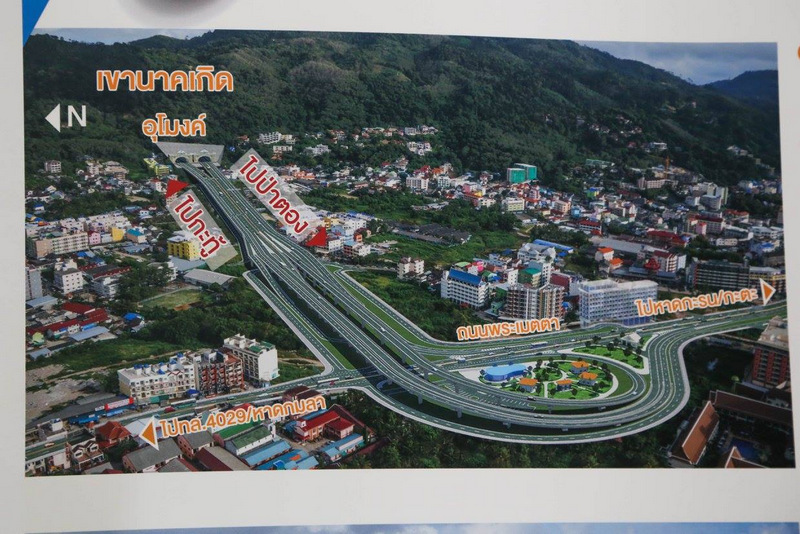 Leading the meeting was Pramounrat Chinnarong, Director of EXAT’s Land Acquisition Division, who explained the plans to build a raised expressway with a total length of 3.98 kilometres leading through Patong Hill. The hill has gained a notorious reputation for hundreds of accidents, many of which have killed scores of people, mostly tourists, and injured hundreds more over the years, Mr Pramounrat noted. 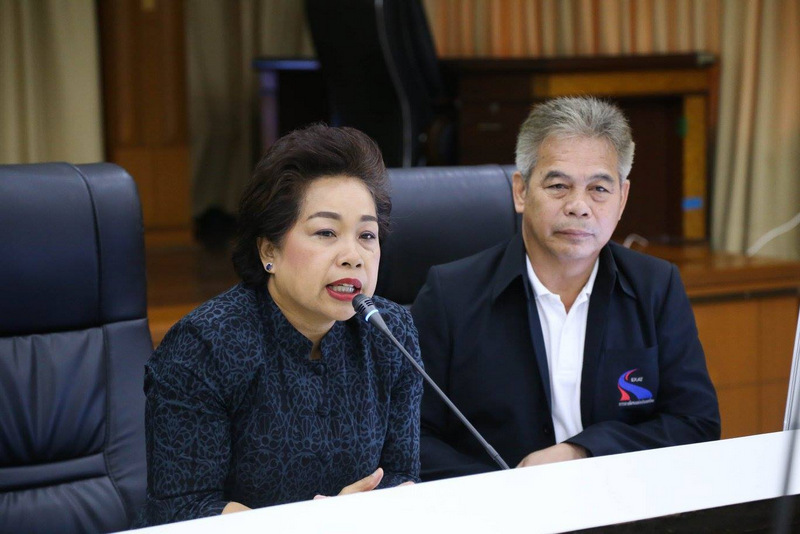 “In 2015, there were 84 accidents resulting in seven deaths on Patong Hill. In 2016, there were 91 accidents resulting in two deaths, but already by the end of June this year there have been 65 accidents on the hill,” he said. 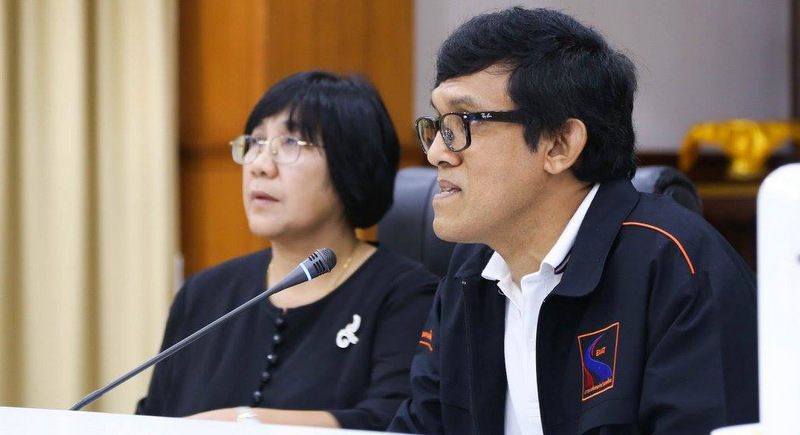 Mr Pramounrat’s assessment did not include the two devastating tour bus crashes in July that killed three people, including a Chinese father and his 10-year-old son on holiday in Phuket, and left nearly 50 people, mostly tourists, injured. Mr Pramounrat explained to the residents at both meetings that their input was a “must requirement” for completing the EIA application, which he admitted had yet to be approved. He also explained how they would be compensated fairly by the “Transport Ministry committee” for their land. “After the prices have been settled, EXAT will pay landowners within 120 days of the owners agreeing to sell their land,” he said. “If you think think the expropriation values are not fair, we can receive your comments and pass them on to the government. We are transparent in our workings during this survey visit,” Mr Pramounrat said. “This project has not yet reached its conclusion, it has not yet been finalised. All comments will be taken back to the committee,” he added. However, under the current plans, construction of parts of the project are scheduled to start in May 2019, Mr Pramounrat noted. That deadline may have to be revised, he said. Why there was a 3 lane underpass built near Central Festival as it is just functioning as a 2 lane? And why is that underpass so dirty? Why is it not cleaned at night once a week? Easy to close the underpass in one direction per time for cleaning. Who is responsible for underpass cleaning? There must be a Chief + a budget for it, right? My advice to these residents would be to jump at the chance to sell their properties. If they get anything close to what people think is "market value" then they are already way ahead of the property market curve. Thai logic, spend 6bn on a tunnel rather than admit they can't drive to world standards and do something about it. Due to the growing unsavoury tone of many comments posted alongside our stories, The Phuket News is now not allowing ANY comments that mention any other person by name. Direct your comments to the issues at hand, and you should be fine. I am surprised by reading about  EXAT's Land Division officials statement. The poison is in the tale. EXAT just state that it will pay landowners within 120 days ( that is already a very long time!) after owners agree to sell their land. What if land owners not willing to agree by dictated (EXAT?) land prices? We see what happens around Chalong Circle since October 2015.